Whenever The Avengers comes up in conversation, I try to get across to people that it is a literal childhood dream come true. That seeing these characters I enjoyed on the page and small screen writ large on the biggest screens in the world is something I did not think possible before Iron Man. But it goes beyond that. These movies rule the world now. Something that was niche that I loved is mainstream and is not going anywhere soon. We are well over a decade into this superhero boom, and it’s only accelerating. Avengers: Age of Ultron is the penultimate film in Marvel’s “Phase 2,” a marketing term that encapsulates the studio’s approach to telling a longform interconnected narrative. And while these movies mean a lot to me, I am relishing in this moment of things I hold dear making an impact on everyone else. But it’s not friends that have never read a comic asking me to explain Infinity Stones, Jotenheim, and Terrigen mists that makes me happiest. It’s seeing kids become giddy with excitement over the same things. They love these characters. They even love Thanos, and he hasn’t done anything yet. And that is one of the central reasons I love these films. 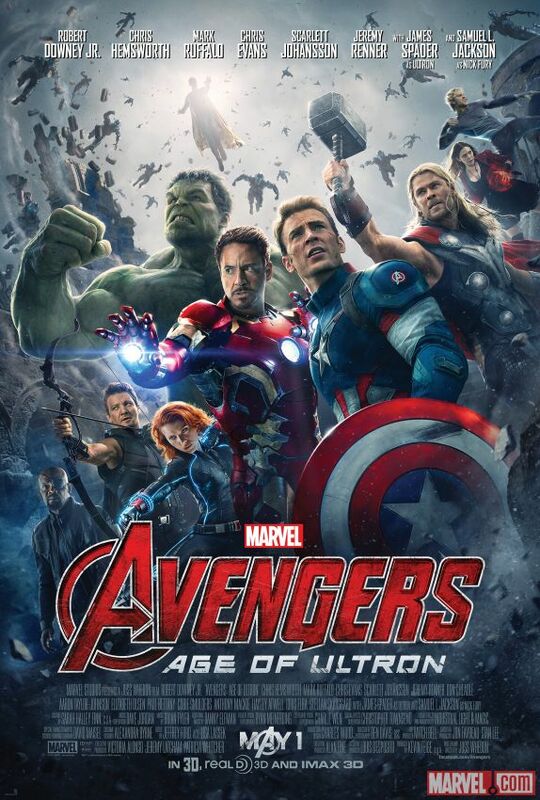 Avengers: Age of Ultron is the first mainstream superhero film that actually takes its pacing from comic books. First, we are treated to a Bondian opening gambit, showing the Avengers, Iron Man (Robert Downey, Jr.), Captain America (Chris Evans), Thor (Chris Hemsworth), Hulk (Mark Ruffalo), Black Widow (Scarlett Johansson), and Hawkeye (Jeremy Renner) trying to tie up loose ends by reclaiming Loki’s scepter from the first Avengers film from the forces of Hydra. In doing so, they encounter two enhanced humans, the twins Wanda (Elizabeth Olsen) and Pietro (Aaron Taylor-Johnson), who exhibit amazing powers. This also sets up the origin of the film’s Big Bad, Ultron (James Spader). An artificial intelligence with a few loose screws, Ultron was designed to bring about “peace in our time,” but of course the most extreme version of that dream. More than any other villain in the Marvel universe so far, Ultron is a proper foil for Iron Man. While he continues the trend of all the Marvel sequel villains being specters of the past, he is a much more interesting foil for Iron Man than any other antagonist so far. Even more than the corrupt businessmen of previous films, Ultron is truly the dark outcome of Tony Stark’s fears and plans. The film is both paced and structured like a current superhero story arc, dropping the audience in the middle of a story with a captivating action sequence, then shifting to middle chapters that pull in various directions, and a grand finale that brings the whole team together, all with a few twists and turns along the way. Joss Whedon is no stranger to writing comics, and superhero comics are the only thing besides Hollywood megafranchises that require creators to balance their impulses with the requirements of their corporate masters. You can play with the toys, but you have to follow the rules. This experience shows, as Age of Ultron has Whedon’s voice all over it, but absolutely fits in with the overall plan for Phases 3 and beyond. Importantly, Age of Ultron is currently situated roughly at the middle point, a pivot between the origins of the first ten movies, and the grander scale of the next sequels to come. Being at the center of this ring, Joss Whedon uses the structure of Age of Ultron to demonstrate the cyclical nature of superhero stories, as the film has a highly symmetrical structure, revolving around birth, as well as beginnings and endings. 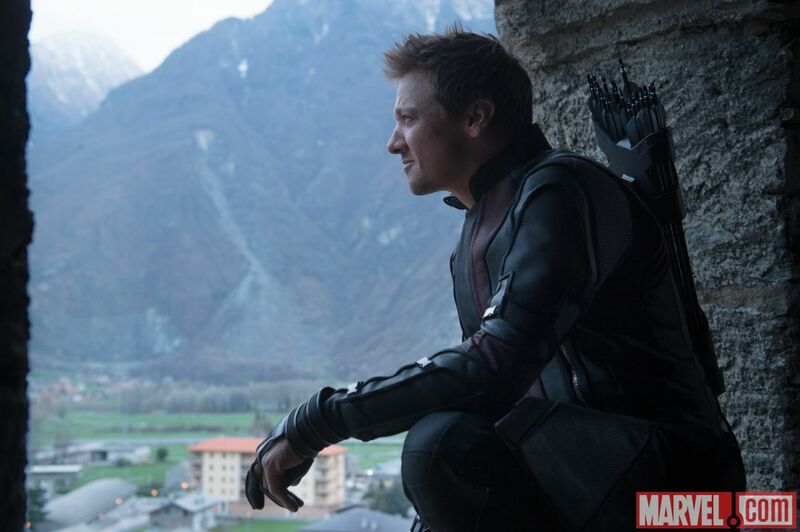 Not counting the new characters, Jeremy Renner’s Hawkeye gets the most character development, which is much needed. He finally gains a personality, which happens to be similar to that of his character in the excellent Mission: Impossible – Ghost Protocol. It’s a mix of awe at the outlandishness before him and a wry sense of humor, and it works well. Renner ultimately becomes the heart of the team, keeping them grounded and reminding them of their job as Avengers. While the film’s divergent threads work to advance the stories of each individual character, they don’t ever supersede or distract from the main narrative. For example, much of the film drives from the same place as Iron Man 3, the fallout of the previous Avengers film, and how that continues to shape his actions and worldview in this film. Continuity of character is even more important than that of plot, and having Whedon bookending this latest round gives the whole thing a consistent feel. 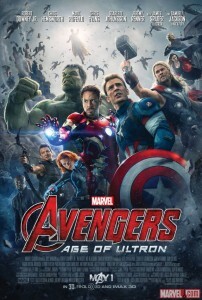 While the first Avengers film was a single magic trick, “How do we get all of the characters from these different films to work in a single film?” Age of Ultron is a series of magic tricks: “What keeps these people–this team– together?” “How fragile are these relationships?” “Are they friends, or allies with a common goal?” “What are they working for– reacting or preventing?” “How does the world see these characters we know as heroes?,” always furthering and expanding the scope of the film. It’s more ambitious, and while bigger budgets and prior character work enables this impulse, I wish the film were longer so it could find a better balance in answering all of the various questions, moving characters forward, and advancing the metaplot of Thanos and the Infinity Stones. As for what makes it stand out from the rest of the Marvel films so far is that Age of Ultron is truly an action movie. While there is some downtime in the film’s middle third, there is a hefty amount of action throughout the film, including an extended third act that is the best super hero/villian showdown to date. Watching the film gave me a sense of exhilaration from seeing characters I love interact with each other and do cool things together, while never losing a sense of geography. While not as tight as the Battle for New York in this sense, the bigger scale certainly worked in its favor. And in almost every action scene, serious time was given to what makes these characters superheroes, rather than just quarreling Übermenschen: saving civilians. It’s a move that is both endearing and raises the tension, essential when we already know who is on deck for the next chapter. Bigger, bolder, and more confident, The Avengers: Age of Ultron is the fulfillment of a promise as well as a herald for things to come. 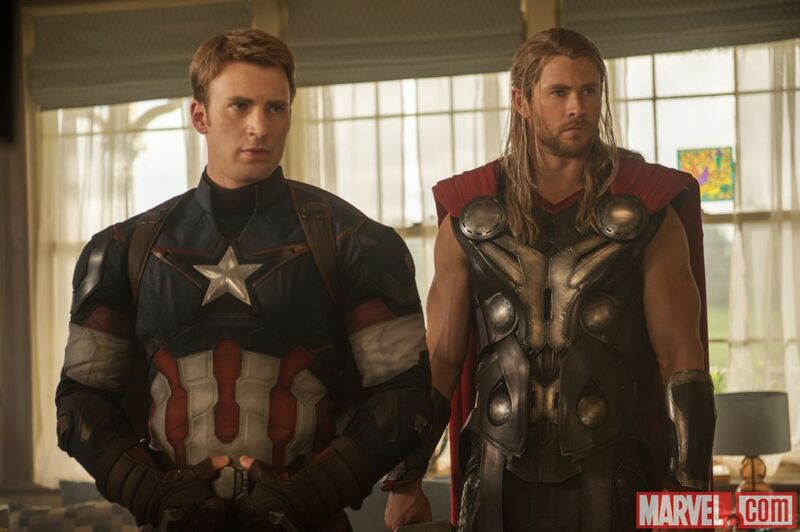 The Avengers: Age of Ultron opens in Philly area theaters today.